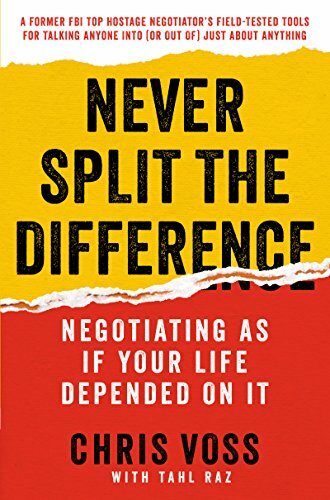 I’ve always wanted to read a book on negotiating. And soooo many of my friends told me that this book was fantastic that I had to check it out. It did not disappoint. Written by an FBI hostage negotiator, the book goes back and forth between real-life hostage situations that the author was in, to then using those lessons to help anyone negotiate with….well, anyone. Mr. Voss makes the point that we negotiate with people all the time, we just don’t realize it. I have to admit, the stories of his FBI negotiations were my favorite parts. The thing that held me back from giving this five stars was that I could have used more examples of easy ways to put some of these lessons into practice. Otherwise, its a great read! You want to learn more about how to negotiate with anyone, over anything!